Situated in Cooperstown, this hotel is within 1 mi (2 km) of Cooperstown Fun Park and Cooperstown Dreams Park. Barnyard Swing Miniature Golf is 0.7 mi (1.2 km) away. Situated on a lake, this hotel is within 3 mi (5 km) of Cooperstown Dreams Park, Cooperstown Fun Park, and Barnyard Swing Miniature Golf. National Baseball Hall of Fame and Cooperstown Brewing Company are also within 6 mi (10 km). Situated in Cooperstown, this hotel is within 1 mi (2 km) of Cooperstown Fun Park and Cooperstown Dreams Park. Barnyard Swing Miniature Golf is 0.5 mi (0.7 km) away. 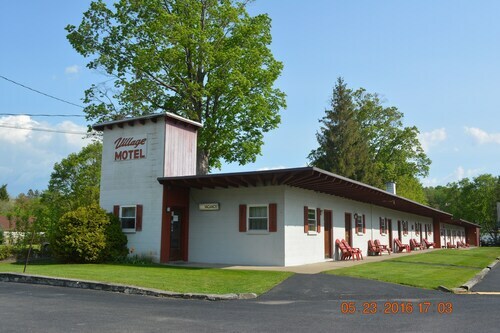 Situated in Herkimer, this hotel is 0.9 mi (1.5 km) from Herkimer County Historical Society and within 3 mi (5 km) of Herkimer County Community College and Holland Heights Golf Course. Little Falls Historical Society Museum and Herkimer Diamond Mines are also within 9 mi (15 km). How Much is a Hotel Room in East Springfield? 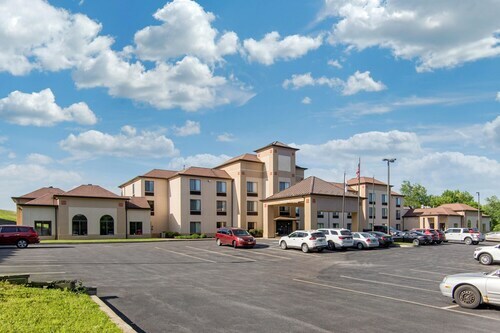 Hotels in East Springfield start at $64 per night. Prices and availability subject to change. Additional terms may apply. For those visitors that are chasing a base for their adventures near the center of East Springfield, Travelocity's reservations page offers a few great options. Within a 6-mile (10-kilometer) distance from the center of East Springfield, you will find 2 comfortable short and long-stay accommodation options. Located within a short distance of East Springfield, are the The Willow Tree Inn and Hayden Creek Inn. 11 miles (18 kilometers) from the heart of East Springfield, you will find the B & B Ranch. Alternatively, the Landmark Inn is located 12 miles (19 kilometers) away. Other possible options include the Best Western Plus Cooperstown Inn & Suites and the vacation Express Hotel & Suites Cooperstown. If you have time left, you could discover the sights of Central New York State. Central New York State proudly offers rivers and rolling hills. Interesting vacation destinations are history museums and theaters. Popular activities in this area of United States of America include cross-country skiing. The nearest hotels in Cooperstown - Ostego Lake include Stamford and Warnerville. Stamford is 30 miles (50 kilometers) to the south of East Springfield, while Warnerville is 19 miles (31 kilometers) to the south. Hotels and apartments in Stamford are the The Catskills B & B and The Queen of the Catskills B&B. The Super 8 Cobleskill, NY and Countryside Inn - Richmondville are some of the Travelocity-registered hotels in Warnerville. If you are really into sports and enjoy the thrill of local matches you and your traveling partner should get yourself to Times Union Center, situated 55 miles (88 kilometers) to the east of East Springfield. Modern visitors who enjoy the idea of finding accommodation close to the action, make a reservation in the Hilton Albany or TownePlace Suites by Marriott Albany Downtown/Medical Center. 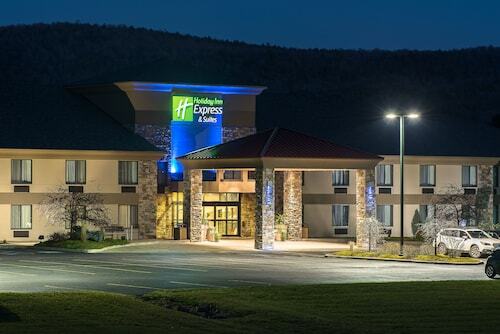 For those travelers planning on arriving or departing via Albany International Airport, you may plan to book a room at Albany Marriott, or Homewood Suites by Hilton Albany, which are each a short trip away. Nice location, good prices, easy access and clean rooms. Very nice. Customer service was excellent. Super friendly and very helpful. clean, quiet, and easy access to town. did not have to deal with stairs or lobby to access room, just drive right up! perfect! very nice overall stay. Avis Rent a Car at ISTIKLAL CAD BELEDIYE PA.